Originating in 1955, ACFA is known as the Fairest, Friendliest and most Fun feline association! 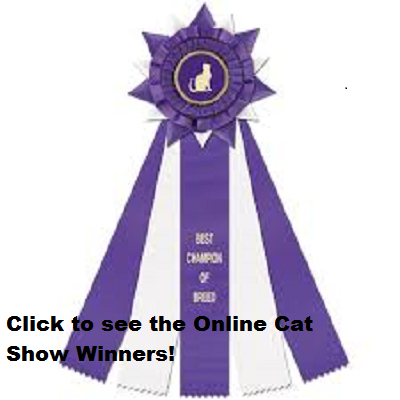 Our goal is to promote the welfare, education, knowledge and interest in all domesticated, purebred and non-purebred cats, to breeders, owners, exhibitors of cats and the general public. The American Cat Fanciers Association will provide efficient, accurate, professional quality services to our members and customers. We will provide all services in a friendly and respectful manner befitting the integrity of our Association, and we will support our most valued asset, our Members. Promotion of the best interests of purebred and non-purebred cats and of breeders, owners and exhibitors of cats; and promotion of education, knowledge and interest in all domesticated cats, purebred and non-purebred, for the general public. visit https://www.myacfaonline.com/member to log into your online portal! If you do not have a log in pin number, please contact the Office! Special - Pedigree and Cattery Name Half Price Sale! Special - La Quinta Hotel - An ACFA Promo / Corporate Code discount of 10% is available with access code ACFAC4. Go to http://www.lq.com and enter the promo code for nationwide discount. Special - Motel 6- An ACFA Promo / CorporatePlus@6 Program! Code discount of 10% is available with access code CPV4VTYK. Reservations can be made by calling 1-800-4MOTELS6 or to http://www.motel6.com and enter the promo code for nationwide discount. Special - Red Roof Inn- An ACFA Promo Program. Promo Code discount of 15% is available with access code ACFA Discount Code VP#621267 Go to https://www.redroof.com/partners/american_cat_fanciers_association/ to make reservations and enter the promo code for the discount. The La Perm have an elegant and athletic build and are affectionate, active and outgoing in character. Their most significant feature is their coat which is made up of soft waves, curls and ringlets, resembling a shaggy perm. 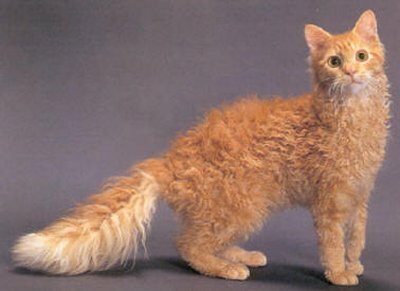 The La Perm is in many ways a cat of moderation with no extremes and is still true to its original type. Follow ACFA on Social Media! visit https://myacfaonline.com/member to log into your online portal! 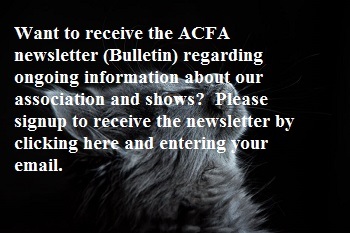 Buying products from ACFA's sponsors benefits you, your cats and ACFA. The following companies donate a portion of the purchase price when you go to their web site from ourSponsor page or mention ACFA when you order. Click the sponsor for more information on these excellent products.